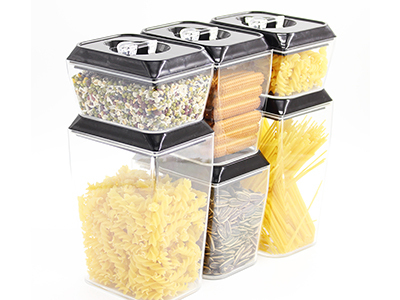 ♦6 Piece Set Air Tight Food Storage Containers. 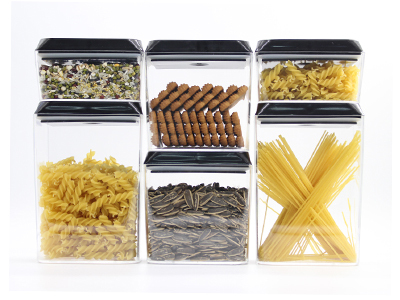 ♦Keep Your Food Fresh In This 6 Piece Clear Plastic Canister Set. 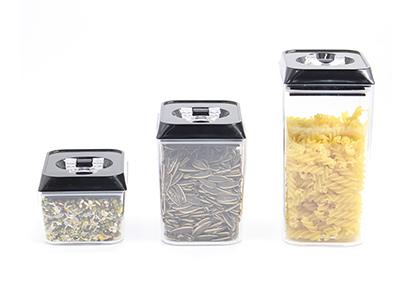 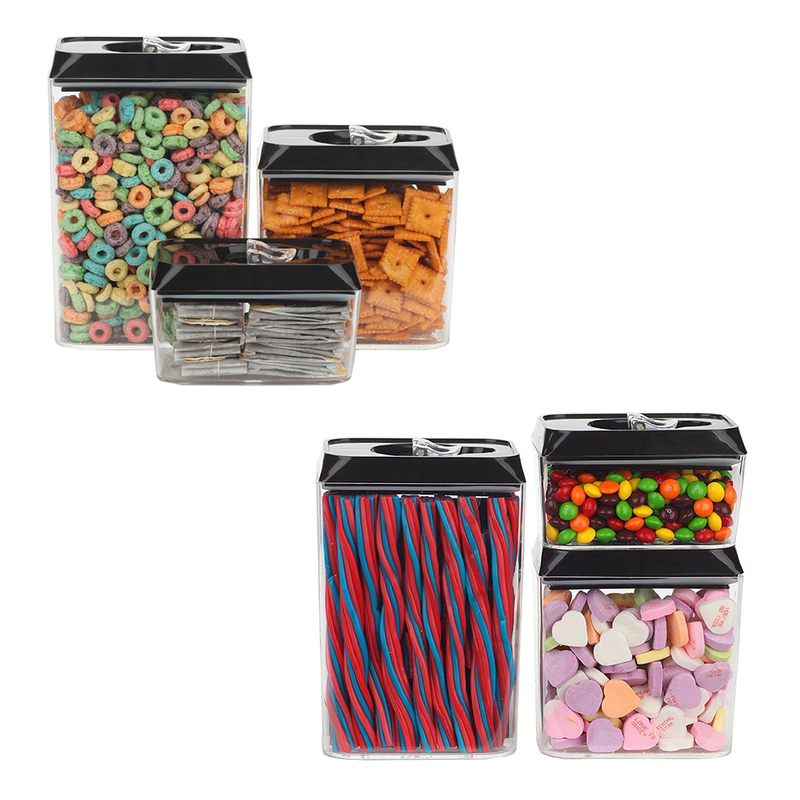 This 6 set Food Storage Containers Perfect for cereal, flour, sugar, pasta, rice, coffee, nuts, snacks and more.It is multifunctional storage box. 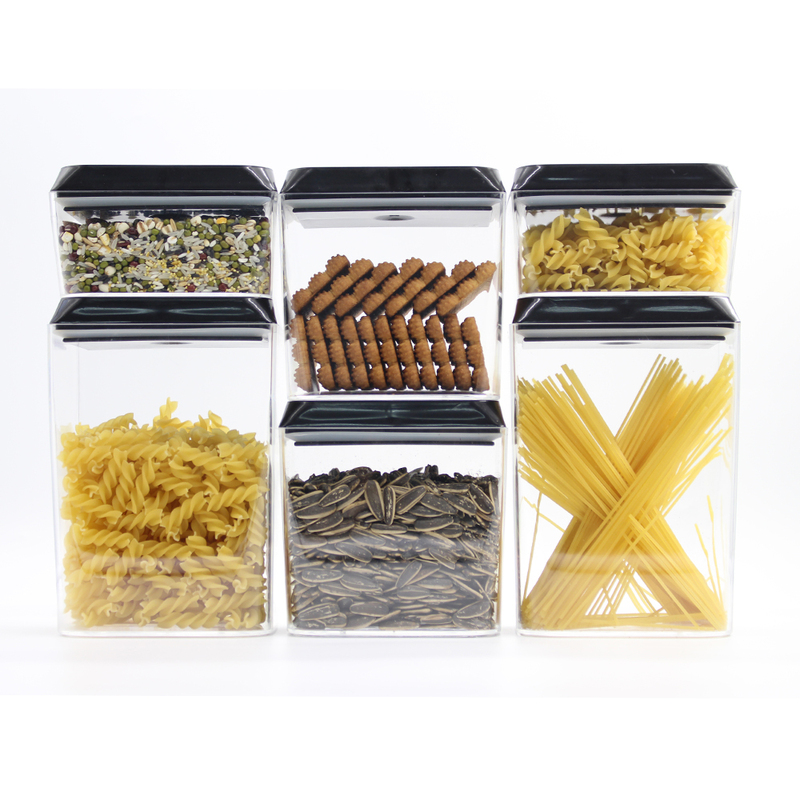 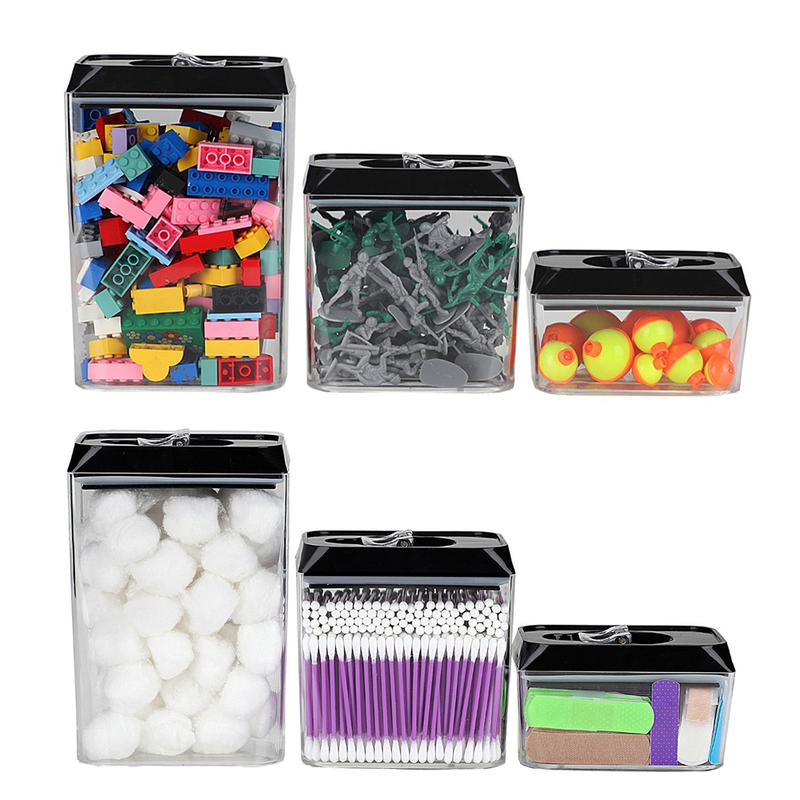 The container of 6 set is the perfect food storage solution for keeping ingredients and food fresh, dry and completely sealed.Also perfect for cereal, flour, sugar, pasta, rice, coffee, nuts, snacks and more.It is multifunctional storage box.